Welcome to Patch 6.4, the one where Warlord's Bloodlust is useful. “But I love healing in combat!” you might say. To which we'd respond, “Just wait til' you get a load of it on Olaf!” We'd then ask why you’re talking to your computer (or mobile phone), but there’d be no response because we’re all just figments of each each other’s imagination. As you ascend the mountain of context beneath this foreword, you might notice some champions like Ryze and Kog'Maw receiving buffs or nerfs despite having just gotten the opposite the patch before. What gives? Why not just revert the changes? If our goal was only to make champions stronger or weaker, reverts (or partial reverts, like Zed's changes in 6.3) are a reasonable approach. However, when we take on balance work for a champion, the changes that make it to the patch notes often have more than one goal in mind. For example, if our goal was 'make X champion stronger and healthier' but the character became stronger and more frustrating, we'd prefer to solve the newly-created frustration than simply reverting everything. For us, game balance is an ongoing journey - meaning that at any given moment, you may be seeing a snapshot of an ongoing, iterative investigation. So what snapshots do we have today? We've got heaps of changes to individual marksmen, some nerfs to top-tier pro play outliers, and a holistic reduction of movement speed. Zooming around the rift is cool and all, but the abundance of bonus movement speed is skewing the early game into a sonic-speed arms-race of who can stack it more, faster. We'll continue to monitor the game's mobility creep over the next few patches, but this is our first push toward solving what could become a larger problem. And that's it for us! Check out all of the patch note goodness below, and we'll see you on the Rift, taking Warlord's Bloodlust on every champion and living like a true viking. Q stacks fall off one at a time. Q duration increased. As a 'utility carry', Ashe's strengths lie in kiting her pursuers rather than the consistent damage output of other marksmen. Embracing that style, however, can prove detrimental (even when she’s doing it right) due to the harsh restrictions on Ranger's Focus. We don't want the punishment for a single positioning error to be so binary, so we're making it harder for Ashe to lose focus when distracted. Back in 5.24 we gave Ezreal a greater reward for hitting Mystic Shot to reinforce his poke-pattern and emphasize his unique interactions with cooldown reduction. Judging by his incredible popularity and effectiveness, it seems those buffs hit the mark, with 40% CDR Ezreal becoming the norm. As a result, the frequency of Trueshot Barrages are at an all-time high, terrorizing teamfights, objectives, and minion waves alike. We like the flexibility that Ezreal's global nuke brings to the table, but when he's able to overclock his cooldowns to the point of controlling lanes and having it up for an impending teamfight, something's gotta give. W cooldown up. E cooldown down, but starts after the attacks finish. Demacia's Grand Duelist has more than earned her title with Fiora outshining her peers in almost every way. We're not looking to take Fiora out of the arena for good, so we're focused on lowering her strength in two ways. 1.) Give opponents more windows to stick damage on Fiora, particularly when she misplays. 2.) Remove a particularly abusive priming case that heavily inflates her burst damage (see: Jayce's Hyper Charge changes way back in 4.21). Fiora's fun and flashy, but we prefer her highs to come from moments of truly skillful reactions, not hidden cooldown mechanics. Movement speed, health regen and regen per level increased. Passive mini-crits towers. Nothing crazy here, just our standard post-release evaluation for new champions. Jhin's late-game strengths (thanks to Whisper's high-powered damage conversion and Curtain Call's executions) are receiving rave reviews, but most Jhin players are losing before the end of the first act (that's laning phase, for those keeping up with the metaphor). While the below section looks like a lot, it's mostly light adjustments to make up for the sacrifices the Virtuoso makes relative to other marksmen, especially around skirmishes and siege scenarios. Q damage no longer falls off. Detonation ratio up. We know Katarina buffs make everyone worried, but the Sinister Blade's felt pretty dull compared to her assassin peers for the better part of a season. Kat's success cases are defined by her ability to roam, but the arms-race of waveclear she's up against in midlane makes it hard to find the right moments. We're upping Kat's agency when it comes to creating favorable situations - whether through shoving to set up a sneaky side-lane gank, or just killing her opponent outright. Since easing up on his laning-phase leash in 6.3, Kog'Maws taken revenge on his oppressors in a truly gruesome fashion. None would disagree Kog needs to be toned down, but let's go in-depth on the tactics. Toning down his attack speed might seem counterintuitive considering he's supposed to be a cute, corrosive machine-gun, but it's all about creating windows of power that are more nuanced than 'strong all the time.' Striking his core stat pushes Kog'Maw to be more careful around how he manages Bio-Arcane Barrage's uptime, as he'll be much less of a face-melting menace without it. Final note: you can consider this a two-part changelist as we dive deeper in 6.5 to see how we can get Kog to feel good about his abilities (Q and R in particular) when he's not right clicking and standing still. Health regen and E damage down. Thanks to a mixture of preseason goodies (here's looking at you, Grasp), Malphite's putting up rock-solid performances across the board. Given Malphite's reliable lategame as a terrifying initiator, we're softening his laning phase to provide an opportunity to break up his consistency in getting there. Malphite may always be an unstoppable force, but playing against him shouldn't feel like you're caught between a rock and a hard place. E works on an ammo system. Rumble's ability to dominate mid-game with well placed Equalizers has always been gated by how strong or weak his laning phase lets him become. While we're taking care not to reinstate the flame-spitting lane oppressor of seasons past, Rumble's long due for some upgrades. We're suiting him up with a stronger fallback pattern for managing heat and last hitting, preventing Rumble from being shut down off of a few mistakes. This gives seasoned veterans and new pilots alike the flexibility to navigate tough situations to achieve Rumble's end-game fantasy of setting everything on fire. Our last round of changes to Ryze left him feeling weak in the wake of his passive's spell-cap, so we're tossing him some love. We're still working on our long-term vision for Ryze (and continuing to monitor his state on live) but in the meantime we're letting him pack more of a punch, especially when weaving his signature combos. Jungle Shen's having a disproportionately harder time finding success than his support and top lane Shen cousins, so we're adding damage to his early clear and allowing him to control certain passive freshwater crustaceans. With so much of the overhaul to marksman itemization focused on crits, utility carries like Sivir have felt underwhelmed by the choices presented. Sivir's always traded poor dueling in favor of amazing skirmishes, so we're opting to support her unique outputs as the 'area-of-effect markswoman' in a way that makes crit feel like a more natural buy. Q width down. R has a brief delay before recast, but takes the same amount of time to travel. Hitting Tahm's damage in 6.2 put a damper on his ability to dominate everything near his mouth, but the toad's still unloading high degrees of frustration. Key to these feelings is Kench’s ability to stick onto his target, leading to feelings of helplessness when attempting to outplay the two-coated beast. Let’s be clear: It’s not Tahm’s ability to apply his CC from range that’s the issue here. Fishing for Q’s in lane is key to TK’s support pattern - it’s that the width is so generous that each lash feels less like poke and more like a death sentence. Though we’re unsticking some of Tahm’s lick, we’ve got improvements to his strategic mobility that make it easier for allies to hop in and partake in his special appetite for despair. The River King will still be able to throw his weight around, but we’d like to facilitate a little more involvement from his team to get the same results. W shield and R's on-hit damage down. Though notorious for his strength with Runic Echoes, Udyr's been king of the jungle for a while, no matter what enchantment he buys. Udyr's the jungler's swiss-army knife - need to roam and chain-gank? Split push? Power farm? Objective control? He's got you covered. We're not looking to remove any one of Udyr's strengths in particular, but rather tone down his performance overall so other champions have a chance to take him down (or win, for that matter). 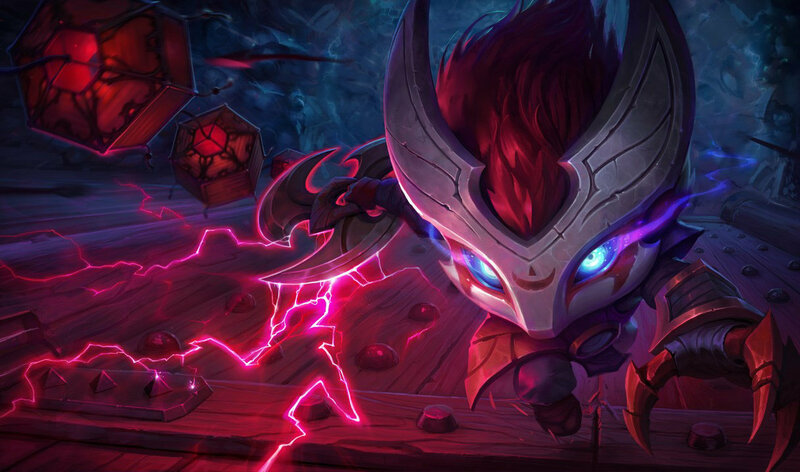 Viktor's been a strong pick on the Rift for many patches thanks to his safe and consistent laning phase. Though not possessing any mobility in the traditional sense (dashes, etc), Viktor's safety comes primarily from his single-spell range and waveclear. We’re fine with Viktor applying pressure via waveclear without fear of every gank, but laning against him is low on interaction given how easily he’s able to ignore you and laser-focus the minion line. Tuning that efficiency so Viktor’s opponents have more windows to fight back before he hits that critical break-point. W AP ratio and attack speed lowered. 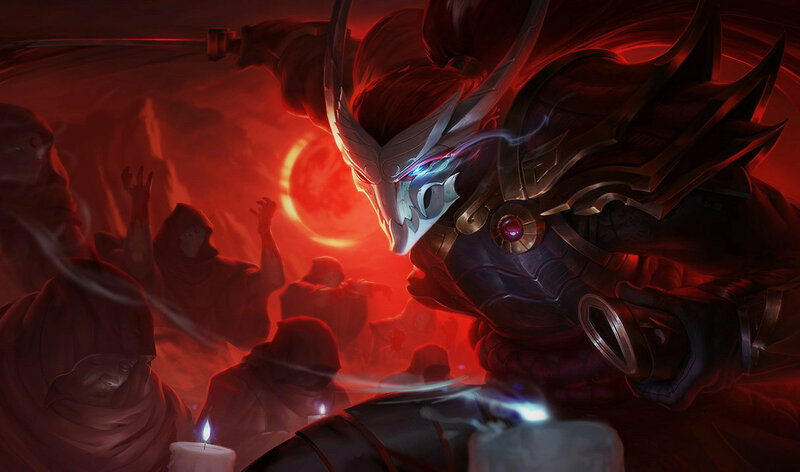 As we mentioned last patch, Xin Zhao's a fighter whose identity is linked closely to his ability to flexibly adopt different builds based on the situation. While we tailored 6.3's changes to his crit/attack damage-heavy builds, it's Xin's synergies with Guinsoo's Rageblade and Sated Devourer that's got us scared to death. Even though Sated Xin was already his most successful build before the changes, we wanted to see how he did with them before taking action. Now we’re we're specifically targeting Sated Rageblade Xin Zhao it to bring it line while we assess what follow up XZ's of all shapes and sizes (and items) need going forward. Merc Treads haven't been scratching the 'Buy me against hard CC' itch they're intended to for a while now. With most players opting for cheaper boots (or more movement speed), we're upping the effectiveness so Merc's are once again the go-to footwear when you're jumping head-first into a moshpit of stuns, fears, taunts, and Nautili. Sitting on Tear of the Goddess is a gamble - in most cases, you're going for an item that gives you very little combat effectiveness for a big payoff (once you upgrade). While the 'Tear = weak' part is holding up decently, folks who wanted Manamune found themselves putting off their sweet mana sword because there would be certain situations it would actually be harder to stack than its component gem. While the decision on when to upgrade is compelling, we don't want 'Manamune's stacking is just worse' to be the deciding factor. No longer a toggle. Now always consumes mana to deal damage, but only when fighting champions. Borrowing from the Manamune section, the payoff to Tear-stacking is the promise of a huge power-spike once you've made your transformation. With Muramana, this wasn't always the case. In theory, Muramana uses your resource bar as a means of overloading your damage output - in reality, the cases where folks would burn so much of it on farming minions (or simply forgetting to toggle it on) left the item's performance lackluster. These changes are about increasing accessibility such that you can count on the power that Muramana provides rather than chalking it up to human error why your big item purchases didn't help you win that last teamfight. The decisions around when you'd toggle it on or off are mostly kept in this iteration (vs minions: conserve mana, vs champions: FIRE EVERYTHING), and the gains to reliability outweigh the costs. Besides, Urgot's got enough to worry about without having to remember if he left the Muramana stove-light on or not. newPASSIVE Shock - Single target spells or basic attacks on champions consume 3% of your current mana and deal twice that as bonus physical damage. This effect only triggers when you have more than 20% maximum mana. By the numbers, Runic Echoes has been a more than suitable replacement for Runeglaive. Using it profitably has serious returns, gaining a leg up in map pressure over other junglers due to its high movement speed. We're happy that magic-damage dealers of all kinds are finding success in the jungle, but it's clear that the map mobility it provides is shutting out other enchantments (and the junglers who use them) from feeling like they can compete. Size lowered, but gets larger with armor. Slow no longer lingers. Health down. Build path changed. Originally intended for Juggernauts to feel good about wading into battle, Sterak's finds itself protecting marksmen from burst more often than aiding your standard beefcake. In a vacuum, this is okay - but when it starts covering the intended weakness of marksmen (that is, being soft to all-ins and assassination), the lines start to blur. By tuning down the base health, we're making Sterak’s less of a one-stop shop defensive item (as its shield scales directly off maximum health). Tank champions will continue to stack health anyway to take advantage, while squishier champs are getting both less base health and less of a shield from that fury proc. Hydra's can no longer be swapped into one another. While this was a neat idea, in practice being able to swap for no cost presents us with some balancing difficulties. Key among them is the smoother build of Titanic Hydra - letting champions with an intended weakness in their early-game bulk up at no cost to their late-game damage scaling. Rather than continuously tune them based on their relative power (instead of how useful they are to their core users), we're separating the Hydras for good. Goodnight, sweet serpent prince-swapping. You were too beautiful for this world. Now gives lifesteal based on your missing health. As is, Warlord's Bloodlust has two main problems. For starters, it's incredibly narrow - while certain Keystones might restrict you to attacking so often or doing certain thresholds of damage, Warlord's specifically requires you to crit. While being narrow isn't always bad (Windspeaker's Blessing is fine being taken by supports only), the heavy skew towards marksmen when Fervor and Thunderlord's are also great options make Warlord's superfluous (particularly when other classes could benefit from the space). Aside from its intended audience, Warlord's has always captured a lategame fantasy while giving you nothing immediately - a tradeoff that people just aren't excited to make. These changes take a crack at killing two birds with one key-stone. Removing crit broadens its application significantly, making Warlord's especially synergistic with 'all-in' fighters like Aatrox and Olaf that capture the spirit of the Keystone's concept and giving it more reasonable scaling over the course of the game. If you like to fight to your last breath (and then some), look no further. newFOR THOSE WHO FIGHT FURTHER Attacks on champions gain increasingly more Lifesteal based on your missing health (up to 20%). Half effect vs minions. Like the Assassin mastery some patches back, we're adding Expose Weakness as a means to assist offensive supports. While many are perfectly happy with their Bonds of Stone and Windspeaker's Blessings, incentivizing a dip into Ferocity should appeal to the bloodthirsty supports out looking for, well, blood. Smiting the wolf in the river sends it to the opposing jungle. This is an interaction that's been in the game for quite a while, but only hit the spotlight with introduction of the patience mechanic. The gist here is that we think getting your wolf spirit to 'invade' the enemy jungle is cool, but not when it's so easily accessed by a majority of the cast. If you want your soul to go searching, you'll need some specific jungle interactions (Tahm Kench's Devour) or help from certain allies (Syndra, Blitzcrank, etc) to enable it, making this a strategy that's much more telegraphed to opponents. CLARITY This is now mentioned in the Murkwolf's tooltip! The first wave of minions can't be obstructed. Over the last few patches, we've seen a high-level strategy emerge where teams step in front of the first wave of minions near their inhibitors to control their pacing towards lane. While minion wave manipulation is a key point of mastery in the laning phase, successful execution of this tactic causes such an extreme advantage from the start that there's only one course of action - do it yourself, or fall behind. This would mean the 'optimal' start in League is one where both teams start games inside their base, herding minions like hooded, gold-generating cats. As cute as that imagery is, the gameplay associated isn't - so we're removing it. Dominion and the Crystal Scar were disabled on February 22. We launched Dominion more than four years ago as an alternative game mode designed to challenge players with fast-paced skirmishes, capture-and-hold gameplay, and different skills to master. Read more about the choices we made for League of Legends that led to our decision to retire Dominion in our original announcement here. We enabled the champ grid at all phases of champ select so it's easier to think through prospective team comps and bans. Also, a few of the improvements to New Champ Select mentioned in 6.3 took longer to get out of the gate than anticipated. We're copying them here as a reminder for what you should expect last this patch. YOUR FAVORITE OUTFIT New champ select now defaults to your last selected skin on a given champion.